Habit-building apps on your smartphone are cool, but let’s face it. Sometimes, you just want something simple that’s going to help you push yourself towards a goal. It can be really nice to physically mark a piece of paper in contrast to tapping a glass screen after you’ve finished a daily task. So I decided to make some printable project planners for y’all. 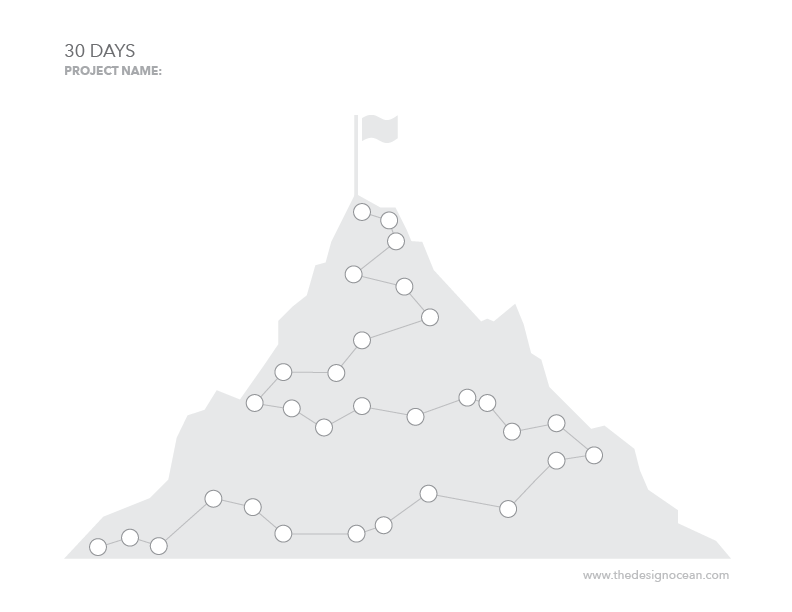 30 Days – Project/Habit Steps (Download)- Based off of the “Better Every Time” app (see previous post), this one lets you progress up a mountain as you’re working on your project/goal. For visual people who like to be rewarded when they reach the peak (i.e. me). 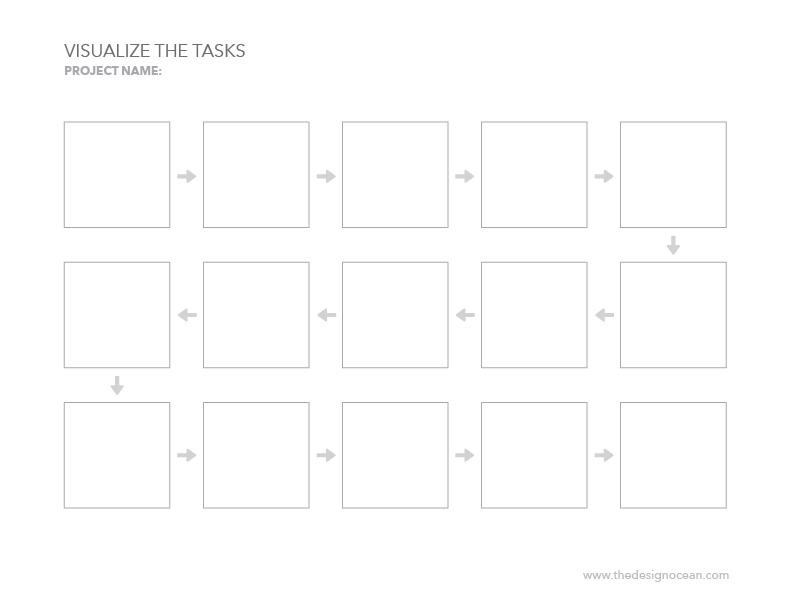 Project – Visualize Steps (Download) – IKEA your project. 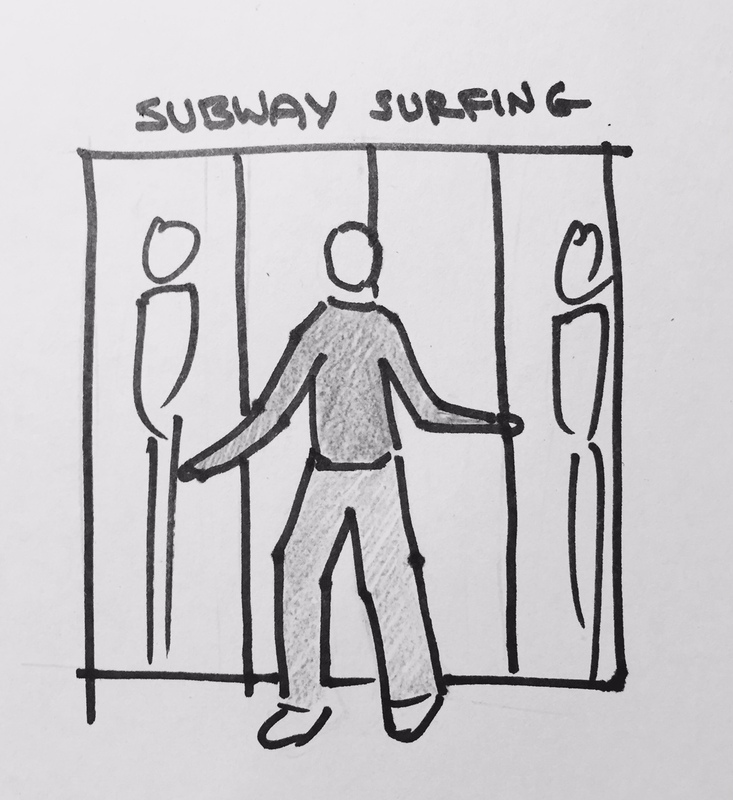 Draw out little thumbnail instructions for yourself so that it’s not threatening. Then when you’re done, you get to put a big red X over it! 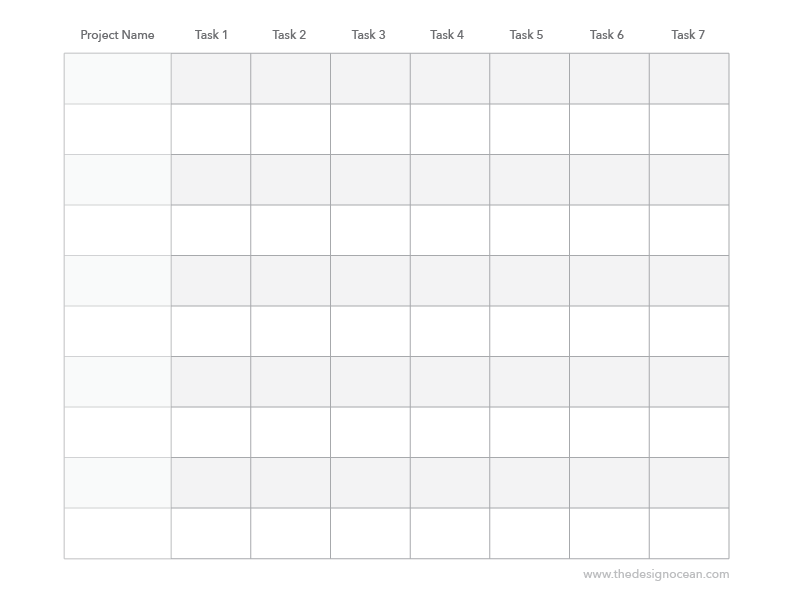 Projects – Tasks (Download) – This is for people who have ten different projects and are at different phases in each of those projects, which each have a numbers of tasks that have to be completed. Month Calendar – Project Tasks (Download) – This is for y’all that want to mark your project’s tasks and progress on a month calendar. Year Calendar – Project Tasks (Download) – This is for the wicked ambitious that have multiple long-term projects. You can use it as a gantt chart or as a general monthly task list. Every couple of months or so, I start a new project and wonder why it doesn’t get done. I decided I wanted to make project-creation a habit-related task that I could do every day. Since, I live and breathe apps as a mobile UI designer, I decided to test out some apps that could potentially help me with my problem. My goal was to find an app that could actually help motivate me to do the task rather than make it a chore. 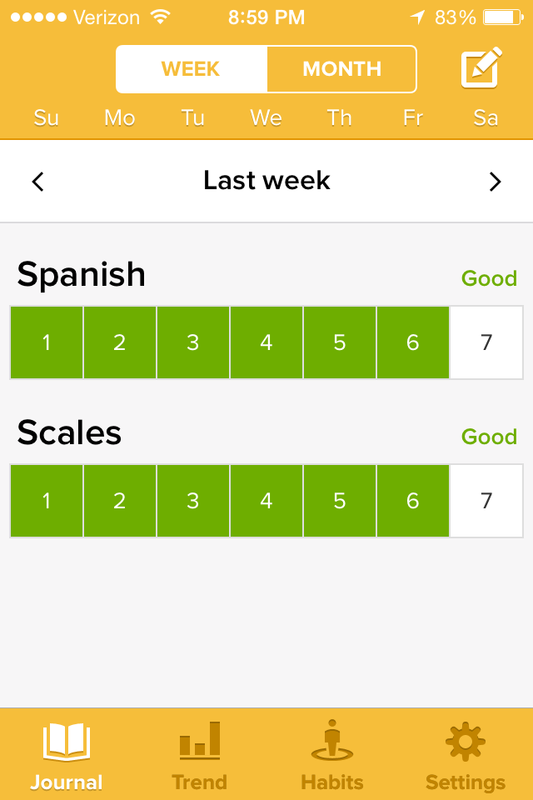 I downloaded 5 habit-building apps that seemed legit, and created a couple of practice tasks that I could use for my experiment. 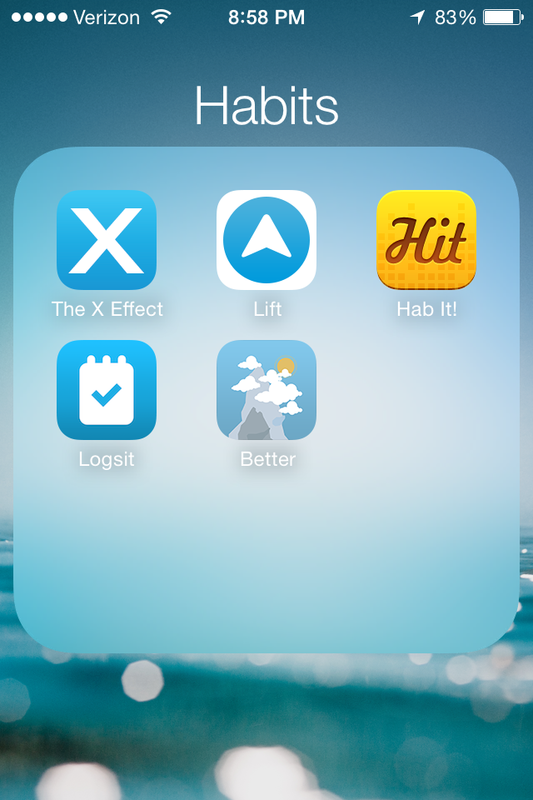 The apps were: The X Effect, Lift, Hit It, Logsit and Better. Let’s start with the first one: The X Effect. The idea is to hit a square when you’ve complete your daily task, which you’re going to do for 49 days in order to make it a habit. 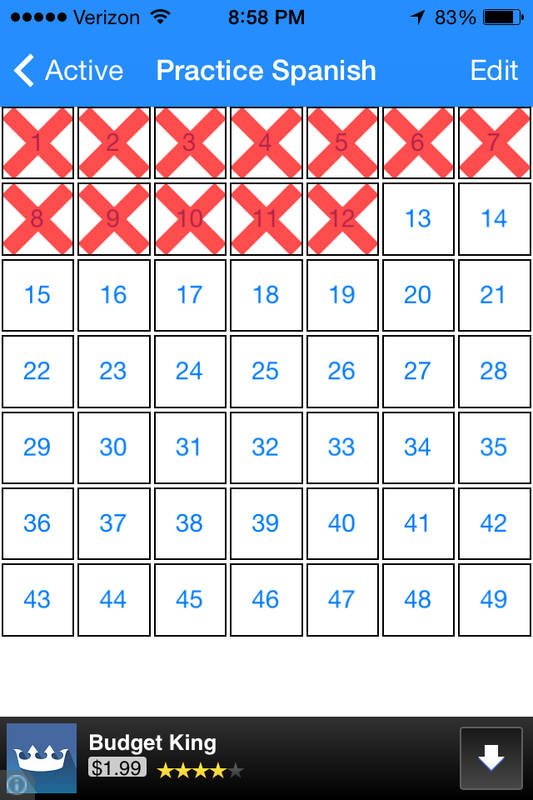 The number of days needed to actually create a habit changes from person to person (and task). It felt really satisfying to see a bold X over the day. If it had audio, it would have made a “BOOM” sound every time I tapped a square. Lift works like this: you swipe right whenever you’ve completed your task, which takes you to another screen where you can make notes about how it went for the day, see your weekly stats, share it, etc. It’s much more feature heavy and for people who want to note their progress in detail. I didn’t find this very useful, since I just wanted to mark that I had finished my tasks. If this app had audio, I would imagine a “swoosh” sound. I want BOOM. Hit it was pretty cool. You could see how many days in a row you had done your tasks. You can keep track of good tasks and bad tasks that you want to kick. Similar to The X Effect without the aggression. Logsit keeps track of the last time you did something. You swipe right to check in. It’s such a general app that it’s not really effective as a habit-building program. You can use it for a lot of other things though like figuring out the last time you went to the dentist. Better? How about best. When you go to log a task, you open the app, and it moves you up a mountain. The visuals are beautiful. The more times you do the task, the higher you climb. The scenery changes with every task completion. You can also take a photo/keep a note of how your task went. Overall: I stuck with The X Effect and Better Every Time as I progressed through my experiment. 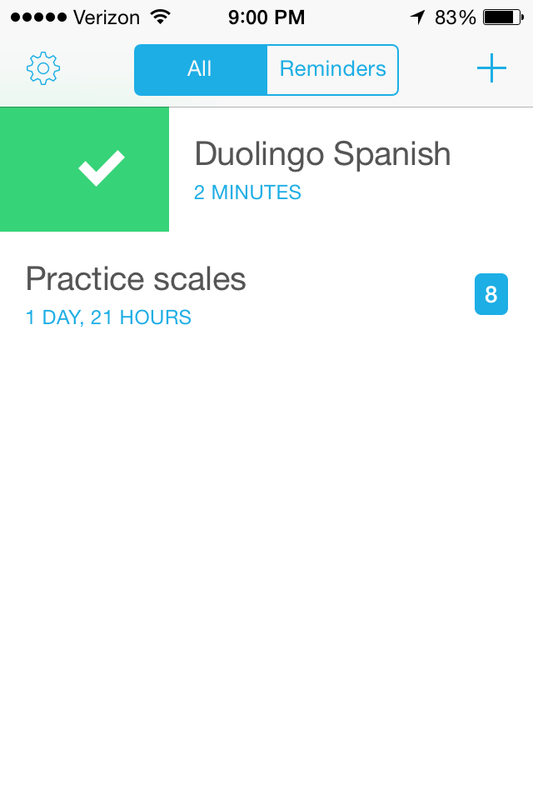 (I did in fact practice Spanish using Duolingo and scales every day for three weeks.) I learned that visuals are really important (for me), and that I want to feel a strong sense of completion when I went to log the tasks. Better Every Time is amazing in that it actually takes you on a journey. You don’t know if the road ahead leads to a dark forest or a beautiful clearing… but you’re going to find out.